As you guys can see breast cancer awareness is very close to me. 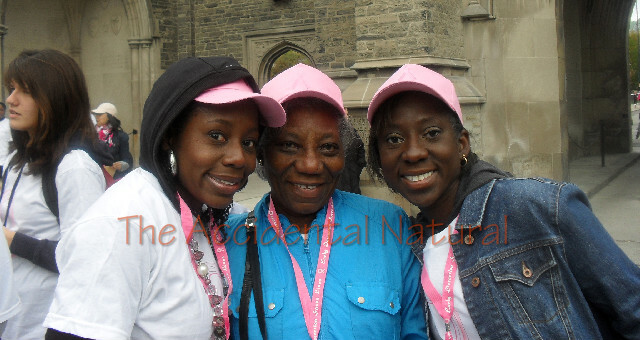 On Sunday, my sister, my mom and I — along with friends — hit the roads and participated in the 19th annual CIBC Run for the Cure. 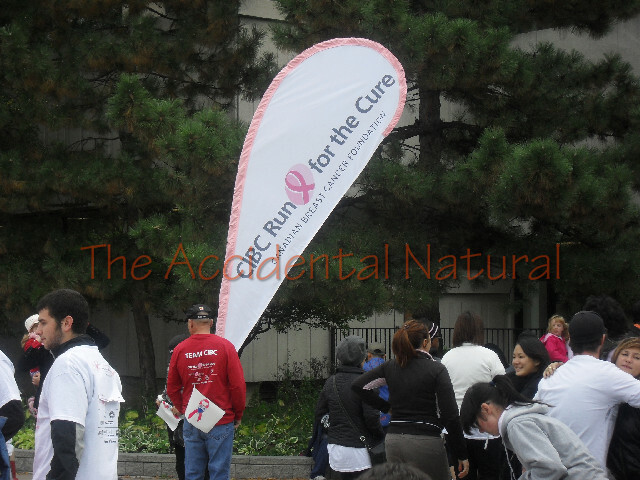 The Run for the Cure was held in 60 communities across the country. 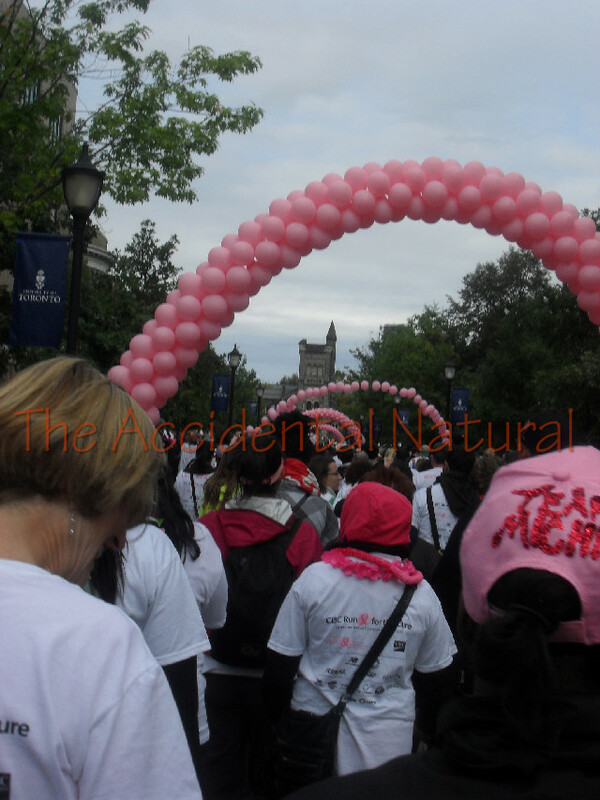 More than 20,000 people — many of them wearing pink — ran, jogged, walked or shimmied in the Toronto event, which began at the University of Toronto. They raised $5,234,197 for breast cancer research and education, a record and a 28 per cent increase over last year. About $33 million was raised nationwide, a 25 per cent increase over last year and also a record. Me, my mom and my sister getting ready to walk. The ladies of Team Michie! We were awesome - raising well over $2,000. 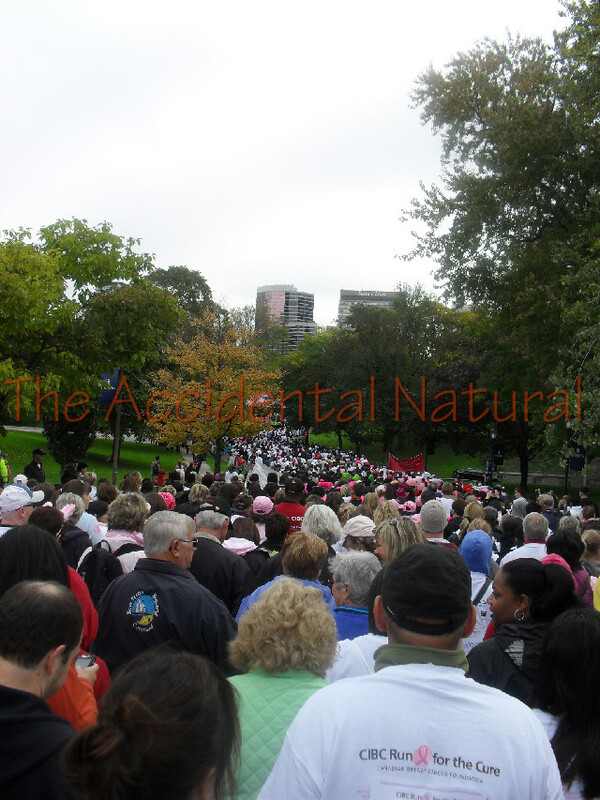 Look at the thousands of women, men and children who were out to support breast cancer awareness. It was a beautiful thing. My standard Muppet grin! Obligatory hair mention: my twists made my cap way too small for my big head. But it wasn't about style, it was walking for a good cause. We got to the finish line after walking 5K -- not to mention the 2K we walked to the run site. My hips were mashed up, but I felt great! It was awesome to see all the people -- and dogs! -- who came out to support and raise more than $5.2 million in Toronto. I'm so looking forward to participating next year, God willing. It was an awesome day. 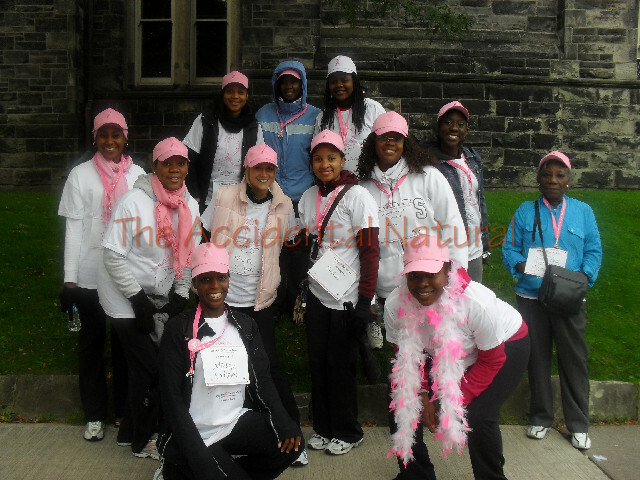 I walked with a group of women who had their own reasons for walking/running, but we were all doing it to raise awareness and money to find a cure for cancer. The excitement and joy was palpable — people were friendly, babies were smiley and dogs were decked out in their pink finery and it was a beautiful thing. Thanks to everyone who supported me — I really appreciated it. Hope to see you next year! Awwww! I love it…this has brought chills on my arms. Such great support so powerful..And for such a great and very important cause ! Great photos. 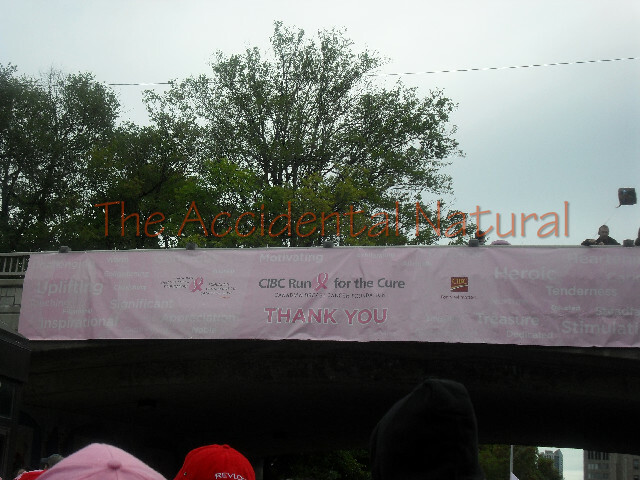 I’ve done the Run for a Cure twice and also worked for the CBCF during the Run. My mom is a breast cancer survivor and I’m an extreme high risk for it, so it’s close to my heart as well. Thanks to people like you, my dream that my daughter never has to live with the fears I do will come true. Glad I found your blog. I’m the white mother of a multiracial daughter with 4a/4b hair so I need all the tips I can get! 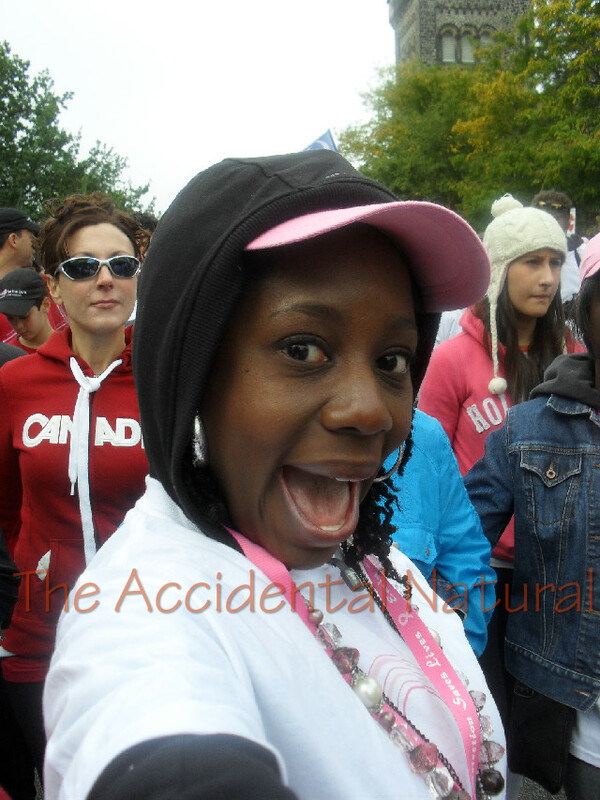 And I’m in Toronto so I love that this blog comes from home! I had such a great time yesterday — I can’t wait to do it again in 2011. I hope that all of our daughters never have to deal with breast cancer. Beautiful, this is a cause close to my heart as well. Smile.